Mӧvenpick sounds like move-'n'-pick, i.e. you move around different food stations and pick food items that you like. If you've been to Marché, you'll know the "ticketing" and "moving-picking" system. The cool thing is, since it's the football season now, Marché's employees are wearing different country's football jerseys and country flags are hung all over the ceiling. A giant screen is propped up at the far end of the outlet for football fans to watch the latest match. Good news! 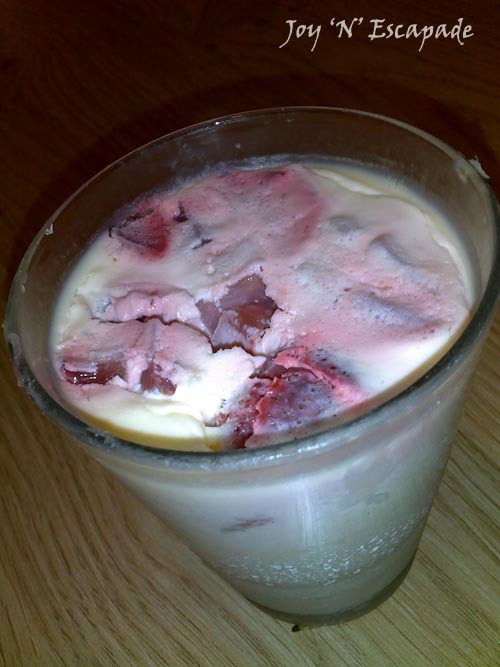 Marché's food quality is still very good. 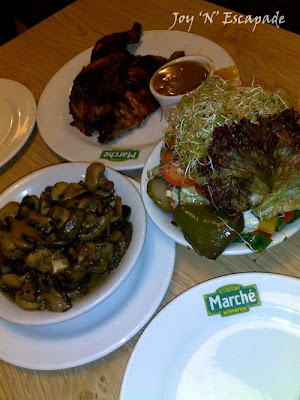 Here's our pick: Saute Mushroom, Rotisserie Roasted Chicken, and Make-Your-Own Salad. 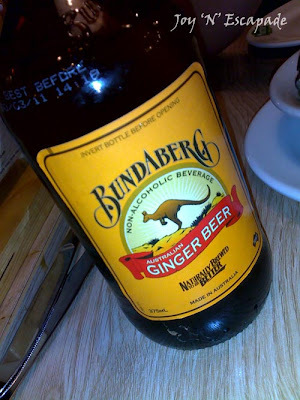 This is my all-time favorite beverage - Bundaberg's Australian Ginger Beer. I just love to drink it straight from the bottle. This is dessert - Strawberry Panna Cotta - smooth and soothing. By the way, here's something worth to keep in mind. Marché's Lunch Special (homemade lunch special for only RM12.50++) is available for a limited period of time (14-25 June 2010), Monday to Friday, 11am to 3pm.